Swimming is such a fun and enjoyable part of growing up - who doesn't love going to the pool? 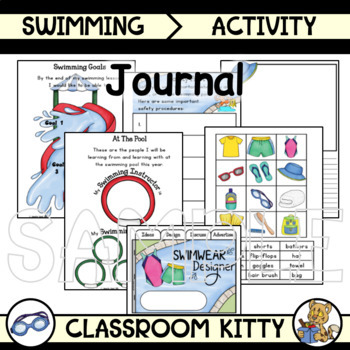 This packet contains a variety of activities that can be completed before, during and after swimming lessons to promote goal setting, writing (recounts, discussion and persuasion), and a bit of art and design too! Now that colour pages are also included you can pick and chose what you like from each set!